لكن تم صنع 10 فقط هاذا الشي يخليها من اندر الموستنجات في العالم!!! Ford announced the formation of a Special Vehicle Operations (SVO) division headed by Michael Kranefuss in September 1980. SVO's stated purpose was to "develop a series of limited-production performance cars and develop their image through motorsport." 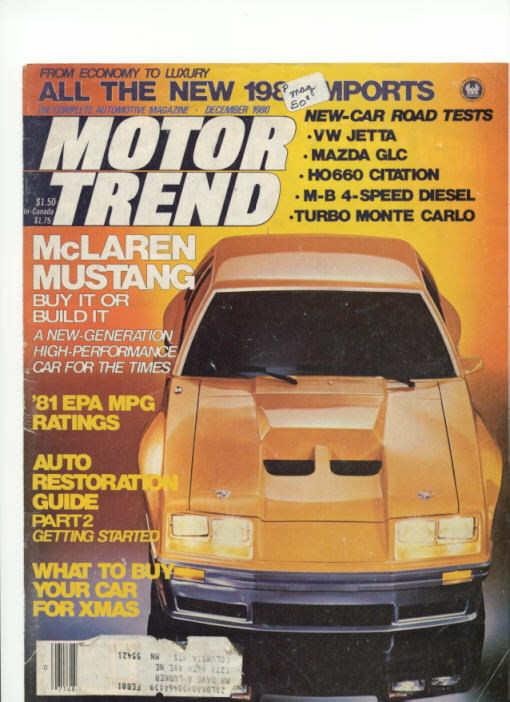 Ford introduced the McLaren M81 Mustang in late 1980. The work of designers Todd Gerstenberger and Harry Wykes, it was another heavily modified hatchback with enough built-in potential for easy adaptation to race duty. Looking somewhat like the IMSA show car, the McLaren sported a grille-less nose above a low-riding "skirt" spoiler, plus functional hood scoops, tweaked suspension (mostly a mix of heavy-duty off-the-shelf components), massive fender flares, and premium German BBS alloy wheels wearing broad-shouldered 225/55R15 Firestone HPR radials. The McLaren Mustang teamed Ford Design with McLaren Performance of Formula One racing fame. Planned production was just 250 examples. 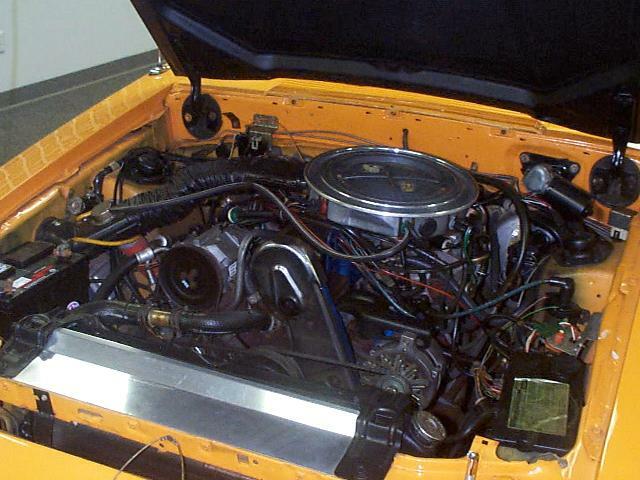 Power was again provided by the turbo-four, but it was newly fortified with a variable boost control having a range of 5 psi (0.3 bar)-11 psi (0.8 bar) vs. the regular engine's fixed 5 psi (0.3 bar). Rated output was 175 horsepower (130 kW) at 10 psi (0.7 bar), a big jump over the 132 horsepower (98 kW) stock mill. A $25,000 price tag and virtual hand construction limited McLaren production to just 10 units (including the prototype). يا سلام عليك مشرفنا " بو علي "